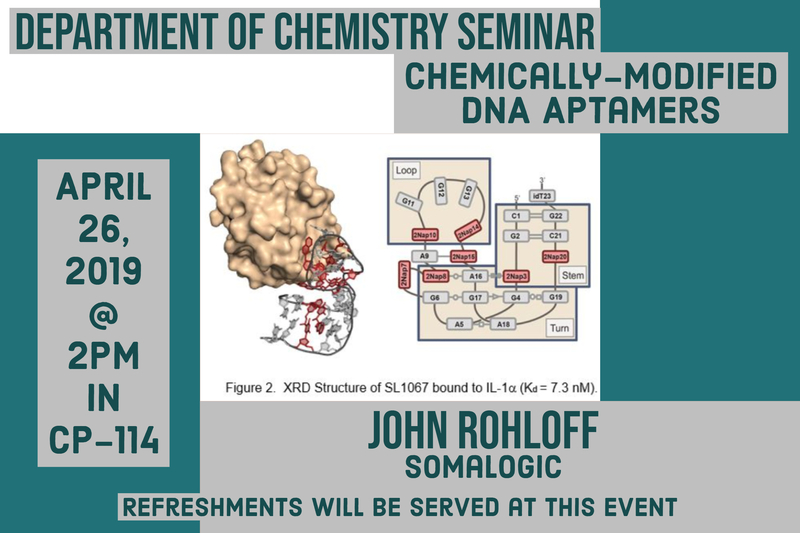 SomaLogic has developed a novel class of chemically-modified aptamers, called SOMAmer Reagents™. Aptamers are short ssDNA molecules, which are identified through an in vitro evolution process called SELEX, that bind protein targets with affinities approaching that of antibodies. Modification of canonical ssDNA aptamers with amino acid side chains or aromatic rings further enhances their protein binding capability by allowing evolution of stabilizing hydrophobic-hydrophobic interactions not possible for the natural CAGT bases. Examples of the synthetic chemistry and biomedical applications of SOMAmer reagents will be presented.